Pair this winter fruit salad with some cold weather comfort foods such as this crock pot roast, this shepherd’s pie recipe, or this chicken tortilla soup. 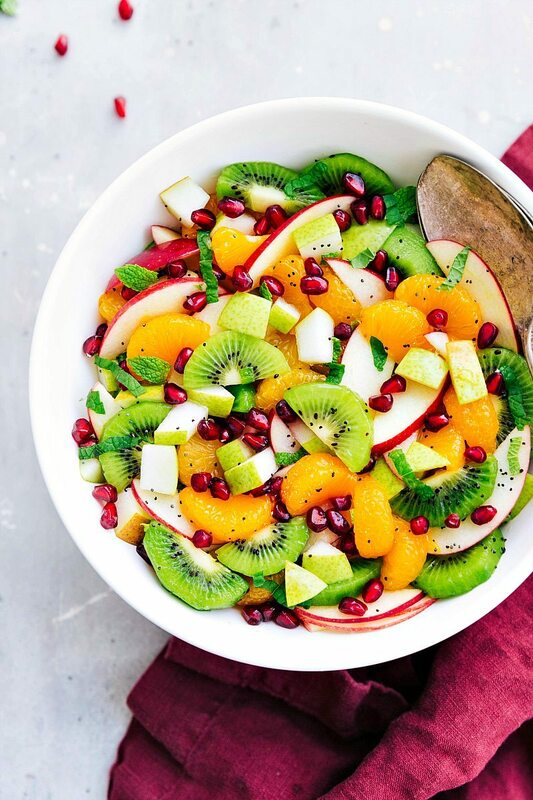 Fruit salads aren’t commonly made when there’s snow and freezing temperatures outside, but this winter fruit salad might just become your new go-to! It’s light, delicious, and is made from fruits available during the winter months. Plus it’s SO easy to make and it really feels great getting some fruit in your diet when it’s so cold outside. Something I always struggle with in the winter is finding good fruits for my kids to eat, so I’m very excited about this winter fruit salad because they can’t get enough of it. We’ve made it almost every night this week! I use canned mandarin oranges because those are my kids absolute FAVORITE, but mandarins are in season and also work great in this salad! 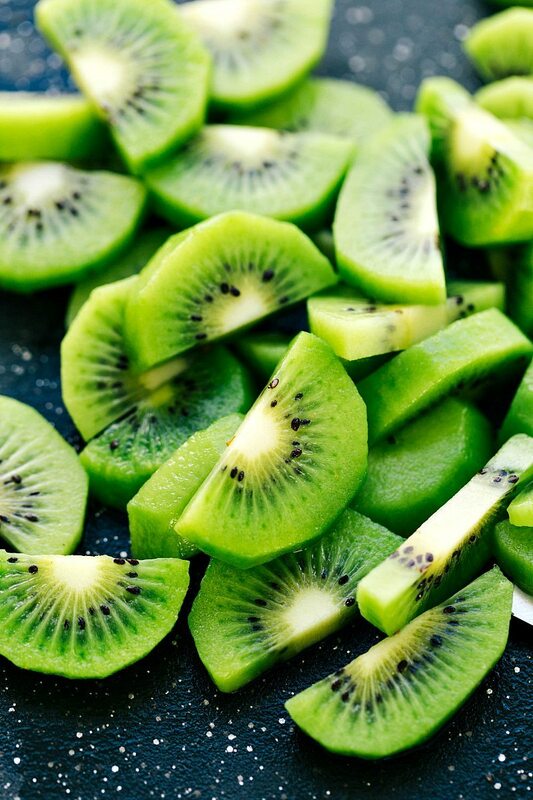 Next we add some apples, a pear, and some kiwi. A few weeks ago I shared an amazing wild rice salad using POM POMS pomegranate arils and I’ve loved seeing so many of your recreations of it! 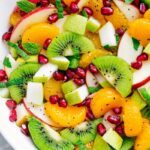 Today I’m partnering up again with POM Wonderful to share this winter fruit salad and a few fun facts about pomegranate arils. 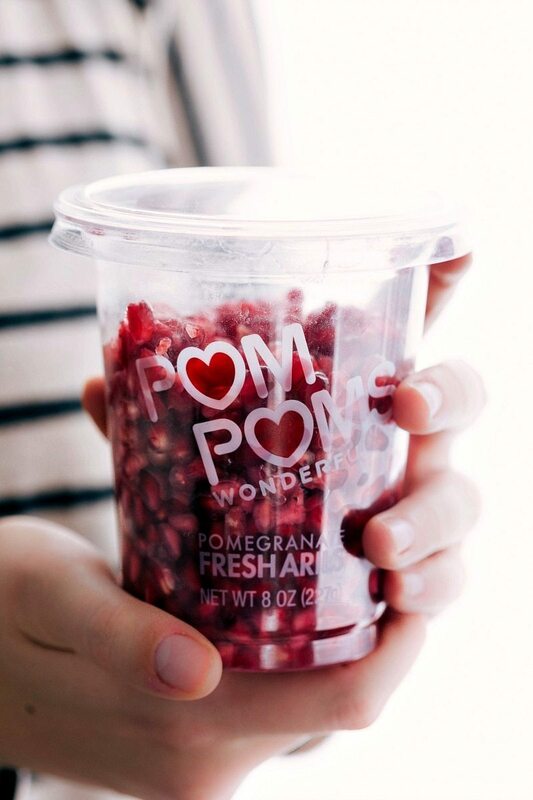 POM Wonderful makes POM POMS which are a convenient package of ready-to-eat pomegranate arils straight from their California orchards. 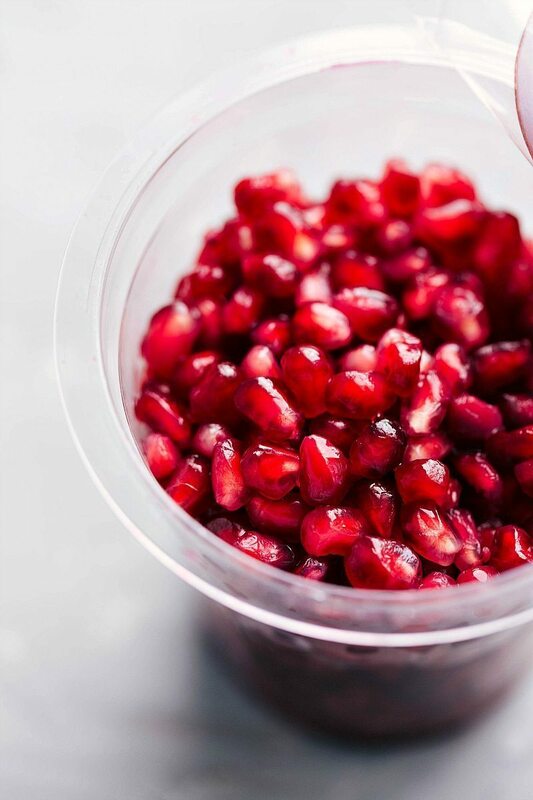 Pomegranate arils have unique antioxidants and fiber AND they make a great healthy snack. 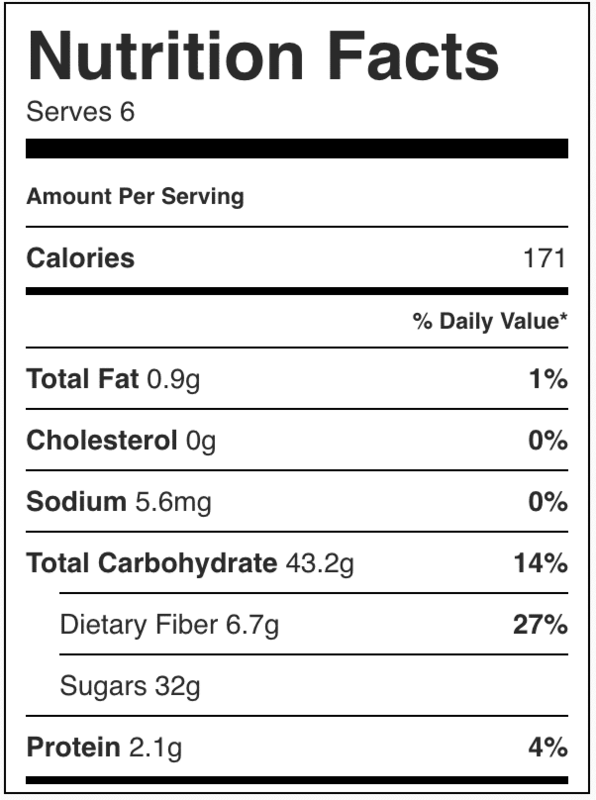 POM Wonderful sells 4.3 ounce containers (that are only 100 calories) that make the perfect healthy snack and are perfect for this salad. However, if you’re making this salad for a crowd, you’ll want one of their 8 ounce containers (and double the rest of the ingredients). You can find POM POMS in the freshly cut fruit section (or refrigerated produce section) in most grocery stores. The dressing is an easy few ingredients: fresh lemon juice and lemon zest, poppyseeds, and honey. Whisk that together and toss it with the fruit and you’ll be in heaven! These few simple ingredients really enhance the flavors of the fruit so well. I like to let the fruit sit with this dressing about thirty minutes before serving it and you’ll be amazed how flavorful the end result is! And last but not least, a bit of fresh mint adds another dimension of wintery flavors. I hope you love this winter fruit salad as much as me and my family does! In a large bowl, toss together the drained mandarin oranges, the diced Bartlett pear, the thinly sliced apples, and the peeled, sliced, and halved kiwis. Set aside. In a small bowl, whisk together the honey, lemon juice, lemon zest, and poppyseeds. Pour over the salad and toss gently. Cover and refrigerated for 30 minutes. Remove and top with the pomegranate arils and fresh (chopped) mint if desired. Serve immediately. Cook time refers to chilling time! Special thanks to POM Wonderful for sponsoring this post. As always, all opinions are my own. 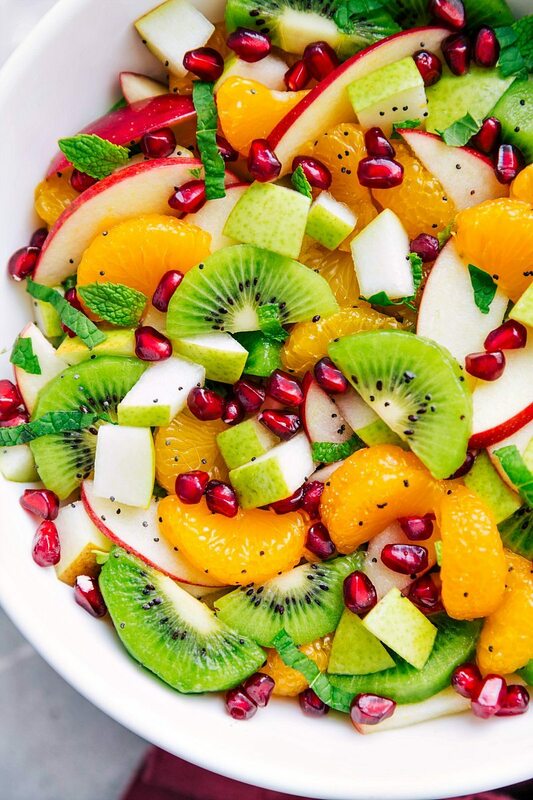 It’s so colorful fruit salad! I love mandarin orange too. In Japan, we eat mandarin orange during winter. This winter salad looks so delicious! I’m already saving this recipe so I can try it later. Thanks for posting! Looks beautiful and I’m thinking it would be great on Christmas morning! Do you think fresh oranges or clementines would work okay? We really enjoyed thge salad. A nice combination of flavirs! Thanks for the nice fruit salad. That sounds so good and I love how easy it is!